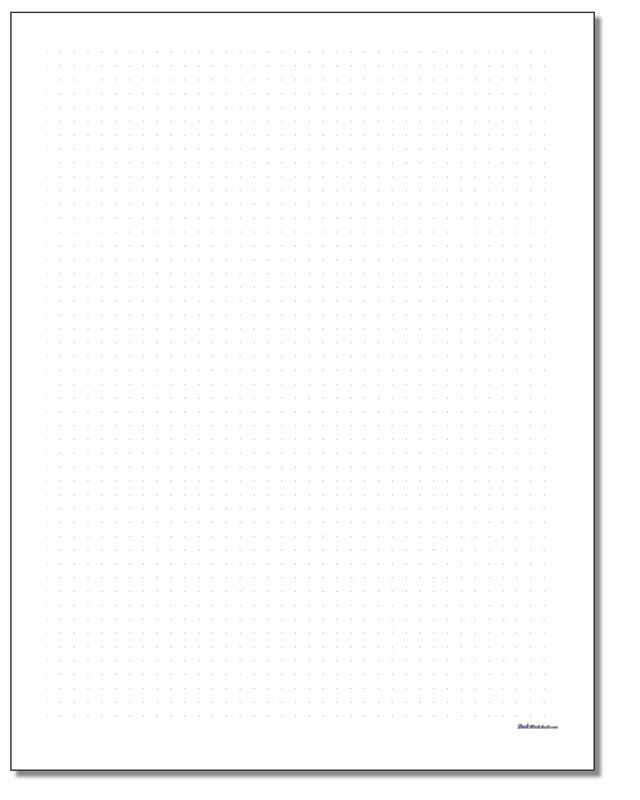 Printable dot paper is a lighter weight approach to standard graph paper. It provides the minimal amount of page support to line your drawings and equations up neatly and you can use as much or as little space as you need to create a coordinate plane, graph or other structure exactly where you want it on the page. 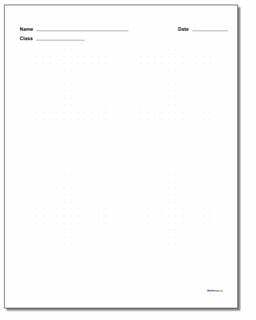 There are entirely blank printable pages here in 8.5 x 11 inch formats, as well as problem sheets pre configured with space for one, two, four or six layouts. Printable Dot Paper is Perfect for Drawing! Dot paper is very similar to graph paper. If you imagine a graph paper drawn instead with just a single dot placed at each intersection of the grid lines, you'll get dot paper. You can use dot paper when what you are trying to draw on the page may need more flexibility (or less clutter) than traditional graph paper provides. It's easy to setup a drawing with a coordinate plane of any size, plus leave additional space for a still semi-organized work by just drawing exactly what you need using the dots. The dot paper on this page uses a very fine dot that will fade into the background of any drawings you make using the grid. You'll find printable large dot paper if you'd like a grid that is slightly more visible on the printed page.